Call me a mass market novelist. I started writing historical romance years ago, focusing on Acadian (Cajun) history. I sold my first book, “A Cajun Dream,” in 1999 to Kensington and it was followed by a novella and a four-part series. All six of those books are now ebooks (The Cajun Series) and available at all online bookstores. 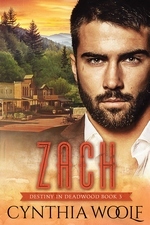 I also penned a three-book contemporary romance-girlfriend series called The Cajun Embassy series and it’s also online. Now, I’m veering into paranormal mysteries. 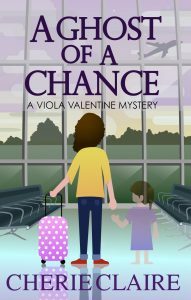 My latest series is the paranormal Viola Valentine Mystery Series, starting with the first book, “A Ghost of a Chance.” It concerns a Katrina survivor named Viola Valentine who decides, after the storm, to reinvent herself and follow her dream of becoming a travel writer. But the storm also blew open a psychic door and now she sees ghosts who have died by water as a SCANC, a person who experiences “specific communication with apparitions, non-entities and the comatose.” As she enters her new career, solving mysteries that appear with apparitions everywhere she goes, the one person she hopes to speak to — her daughter who died of leukemia years before — continues to elude her. Or does she? When Hurricane Katrina slammed into the Gulf Coast, my heart shattered into a million pieces. I knew I had to do something to help my hometown of New Orleans so I quit my newspaper job and was hired for a Unitarian Universalist recovery program. At the same time, I started freelance writing on the side. One thing I was never able to do as a newspaper editor was travel writing, my dream job, and my new flexibility allowed me to do that. Both experiences inspired me to write “A Ghost of a Chance,” a story about a newspaper reporter named Viola Valentine who ends up on her roof after Katrina floods New Orleans and experiences an epiphany of sorts. She leaves her loveless marriage, boring job and overbearing family and follows her dream of becoming a travel writer. Editing. It’s a necessary part of creating a book but it’s tedious, not much fun. 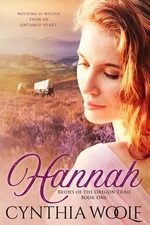 The second book in the series, “Ghost Town,” is now available, continuing Viola Valentine’s story. I’ve discounted “A Ghost of a Chance” to a free download to encourage readers to check out my new series. Here’s the description of “Ghost Town”: Every day at dusk, in a small Louisiana town, the dead emerge from Lorelei Lake. 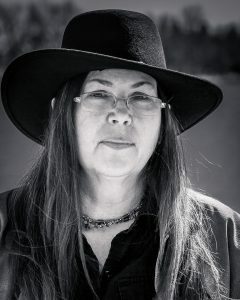 And travel writer Viola Valentine must use her “gift” of seeing ghosts to rid this town of its apparitions. Viola struggles not only with the task at-hand, but hopes that this evolving ability she obtained after Hurricane Katrina will help her reach her beloved Lillye. Yet, the more Viola struggles to talk to her departed daughter, the more frustrated she gets. Plus, it’s 2008, the height of the Great Recession, travel jobs are hard to come by, and her suffocating family and ex-husband keep making demands. She takes solace in a new love interest, one who teaches her how to harness her anger. 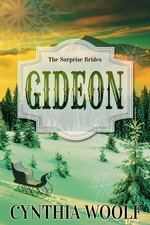 In the end, Viola realizes that only love can solve her problems, from ridding ghosts of lakeside towns to healing a broken heart. From real life. My day job, so to speak, is travel writing. Some of my journalist friends are now scared I will put them into my books. Do you write under a pen name? Why or why not? My pen name is Cherie Claire. I was told by my editor at Kensington, when I was first published with them that my real name, Cheré Dastugue Coen, didn’t work because there’s an accent, an unpronounceable French name (which is my maiden name) and Coen is too ethnic. I made Cherie sans accent and Claire was my favorite aunt. On social media, I claim that Cheré is my twin. When you have two lives as freelance writer and author, it feels like there are two people. Book three in the series, tentatively titled “Ghosts of Mississippi,” and I’m sure you can guess where the story takes place. Describe the genre of this particular title? “A Ghost of a Chance” in my Viola Valentine series is part paranormal, part mystery and a little romance/sensuality with a chick-lit narrative. Hard to find an appropriate genre — fantasy, mystery, ghosts — but I believe fans of Charlaine Harris will enjoy my books. Are you a member of any writing organizations and, if so, have they helped. 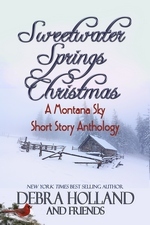 I’m a member of Novelists, Inc., which has helped tremendously. I highly recommend it for those pursuing a career as a novelist, especially if they want to tackle self-publishing. I quickly shampoo my hair, feeling better despite the anchor attached to my heart, and step out of the tub. I grab the lush bathrobe on the back of the door and slip inside its comfort, but the ever-present pain won’t let me relax. It was like this when Lillye died, the endless crying, the dark hole of depression. I could never understand how human beings don’t dehydrate from the amount of water we exude through grief. I gasp for breath, then exhale, ready to steady my emotions and face the world when I see her in the mirror, faintly, the line of her figure like a shadow marked by a Sharpie. She wears the schoolgirl outfit of the blond in the cave, but her hair combed back into a bun is a muddy red, the unfashionable color, not the one everyone emulates through Clairol. She stares at me sadly through pin-prick eyes above an unremarkable nose. Plain Jane is what comes to me in a flash. And although this apparition, if that’s what I’m seeing, isn’t offering emotion of any kind, I feel her pain. Loneliness, heartbreak and something much more acute. The loss of a child. 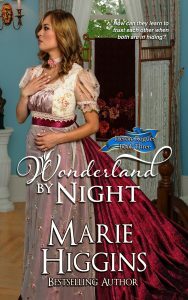 Cherie Claire is the award-winning author of several Louisiana romances. “A Ghost of a Chance,” begins a paranormal mystery series featuring New Orleans travel writer and ghost sleuth Viola Valentine. Cherie lives in South Louisiana where she works as a travel and food writer when not indulging in Cajun culture. 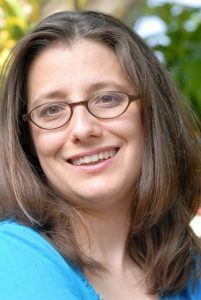 Visit her website at www.cherieclaire.net and write to her at CajunRomances@Yahoo.com. Hi Cindy’s readers! I’m so thankful Cindy agreed to have me on her blog. I’ve written a couple drafts of my post, and to be honest, I didn’t like any of them. 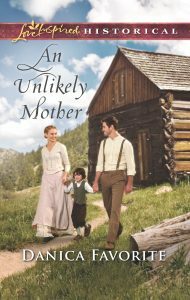 There is so much I want to say about An Unlikely Mother, because it captured my heart in so many ways. So I’m going to give you a brief rundown of the three characters I love the most. Flora is the heroine. I didn’t want to like Flora. 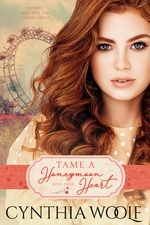 After all, why should the most hated girl in town get a happily ever after? But I realized a couple of things. One, I fully believe that no one is beyond redemption. People can learn and grow. Two, in a lot of ways, we’re all like Flora. Maybe we weren’t the town gossip, but we all have flaws. Some greater than others. And so, for me, Flora is a symbol of the hope that no matter how far any of us fall, we can always get back up again and be something greater. George is the hero. I’ll admit that even though I live in the mountains with no television reception, if I’m somewhere where I can watch Undercover Boss, I do. I love the idea of a boss taking the time to become one of the employees to learn what’s really going on. I’d like to think that brings lasting change to the boss and how he or she views the people around them. I know it did for George, and it’s a really good reminder for me to think about what the world likes like from perspectives different from mine. Pierre is the darling little boy they help. How can you not love a little boy? For me, though, the most fun was that I finally got to use all those years of French! I’ve been sad that I spent so long studying it in school, and I’ve never used it. I was also very proud of myself, because I had a couple of French experts read those parts, and they said I did great. So that’s the brief rundown of my characters. A lot of different pieces, but I enjoyed finding ways to fit them all together. I hope you enjoyed getting to know the characters I love. I’d love to hear about the kinds of characters you love and why you love them. I count always count on your books to be well written and well thought out. I don’t get to see that very often. I really love your stories. They make me… happy! When I first wrote the Heroic Rogue Series, each book was set in the Colonial era in the US, just before the Revolutionary War. 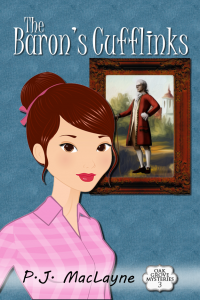 I have revised them and placed each story into England during the Regency era. It surprised me how differently the stories turned out. 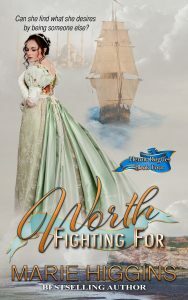 Heroic Rogue Series – Heroes who fight to protect their country from Napoleon’s controlling hand…and men who won’t give up on the women who have captured their hearts. The ominous tenor of Jared’s voice chilled her to the bone. She’d been hoping—nay, praying—that he would finally see the light where they were concerned, but the angry set to his jaw and stern gaze directed her way as she knelt before his throne made her heart drop into her toes. Jared reclined on his throne like a lavish Scottish king of old over the club. He was still one of the most stunningly handsome men of her acquaintance in his leather pants and bare, muscular chest. 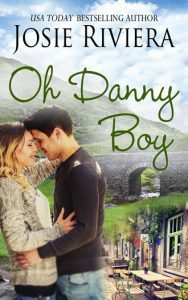 She remembered how it had felt against her skin, and running her hands through the silken threads of his dirty blond hair, tinged with hints of Scottish red. Although tonight was different. Tonight, Patrick Manning and Nick Santos flanked his throne, which was peculiar in itself. And having them there filled her with a startling amount of unease. Sweat slicked her back and the underside of her hair was damp. Both Doms up on the raised dais with Jared were also fine specimens of manhood, and well built. Quite a few of the subs thought they were just as handsome as Jared. They were beautiful men, but Sherry always felt a little unsettled around them. She didn’t know why. She’d heard through the grapevine that both men were former military and it showed. Patrick was lean in his black jeans and matching tank top that fit him like a second skin. His slate colored eyes gave nothing away. And Nick towered over every male on the island. He was over six and a half feet tall. He was one of the few men of her acquaintance who made her feel small and feminine which, considering she was five foot ten inches tall herself, was rather impressive. Patrick and Nick worked in the pool area but she didn’t understand why Jared had them with him. Go back to Scotland. Was he daft or just mean? She didn’t want to go back to Scotland. HERO UNDERCOVER Anthology ~ Only $0.99!!! SUMMER IS COOLER WHEN YOU STAY UNDERCOVER! 25 New York Times, USA Today, and award-winning bestselling romance authors have created a smoking hot collection of torrid tales starring hunky bad-boy heroes and feisty strong-willed heroines. Heat up your nights with dark fantasies, seductive sci-fi, and breathtaking passion. Our alpha males range from swoon-worthy cowboys and take-charge military men to deliciously decadent dominants, and each page-turning story ends with the happily ever after you crave. Hours upon hours of breathtaking romance for only .99 cents. Turn up the AC, lie back, and escape into these brand new, red hot, riveting reads. Grab this blistering box set now before the price goes up. Don’t miss the next installment in Anya Summers’ bestselling Pleasure Island Series, HER UNDERCOER DOMS, exclusively in the HERO UNDERCOVER Anthology!! Huge Giveaway! Win a copy of the HERO UNDERCOVER ANTHOLOGY with 10 Kindle ebooks and 10 Nook ebooks up for grabs. Note from Cindy: I love E’s cover for this book. It’s one of the most beautiful covers I’ve seen in a long time. 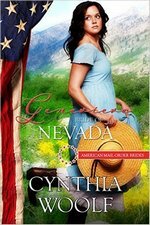 It’s always exciting to be here on Cynthia’s blog. 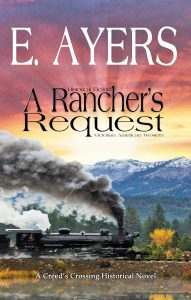 It’s especially exciting because my newest western is on pre-order for 99c, and once it releases, Tuesday, June 27, 2017, the price will go up. Okay, 99c is dirt cheap, but why even consider it, if you don’t know who I am? Lots of great reasons! I love writing historically accurate westerns. I never dreamed the day would come that I would say this, but I really do enjoy digging for information. This one was no exception. Using two local places as hometowns for the hero and heroine meant I had to do some local research. A Rancher’s Request seesaws between Franklin, Virginia and Creed’s Crossing, Wyoming. So how did such a situation occur? Quite simply, it was not uncommon. In fact, it was rather normal. 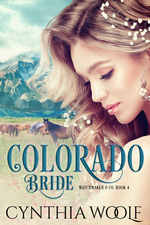 We love reading about mail order brides going west to meet someone they did not know. 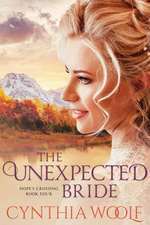 They were the exceptions, and now there are more mail-order bride stories then there were mail-order brides. Most of the young women going west to marry actually had some sort of tie to the young men they were about to marry. Frequently, the couple knew each other before he left. Many times the arrangements were made because the parents knew each other or someone knew both young people. Arranged marriages were extremely common and had been for hundreds of years. The only difference, during Victorian times, was that women could reject the suitor without upsetting the parent who made the arrangement. It also wasn’t unusual for her to go to her father and ask for him to arrange a marriage to a particular man. Arrangements allowed the couple to get to know each other. If he was nearby, he could court his bride-to-be. Long distances usually meant letter writing. Zadie Larkford wasn’t exactly typical of women her age. She was educated. Her father, as the town’s doctor was a college grad. She graduated from what is now known as Longwood College. (Today it is co-ed, but it has a very long history of being a college for women. It’s a beautiful old school tucked in the rolling hills of Virginia.) But a small town girl with a college education wasn’t exactly marriage material for poor farm boys, or local sawmill workers. She had rejected every suitor and had also failed, according to her father, to find a meaningful job. Zadie was an artist and perfectly content to spend her life painting, while wrapped in the comfort of home. Duncan was one of Reginald Lorde’s sons. The problem was he didn’t like what his father and older brothers did for a living. He didn’t like being on a boat or even the idea of running a fish packinghouse. He found a job on a nearby farm and discovered he enjoyed it. So when the opportunity came to go west and homestead, he did. These two young people had fathers who were childhood friends. Life had put some distance between the older men, and the children never got to know each other. When Duncan had settled into his land in Wyoming, he began to realize he needed more than his horse, Rocky, to keep him company. He wrote to his father for a wife. It didn’t take much for that father to turn to his old friend who had a daughter. 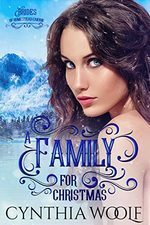 When Zadie Larkford discovers what her father has arranged for her, she is furious. She is forced to learn to cook, clean, and do all the chores relegated to the woman of the house. Her mother’s assurances that the Lordes were good people did little to soothe Zadie’s ire. Maybe the best way to get out of this arranged marriage was to make Duncan Lorde change his mind about wanting a bride. She giggled as she opened the note, then called back to her dad, “He doesn’t write such things.” Well, maybe. Quickly, she read through the letter and knew she’d reread it several times until she had absorbed everything. This one was serious as he wrote about his life, his family, and living in the west. He had enclosed several tidy sketches of floor plans for a house. She looked at them, and then continued to read. Since I don’t have a picture of myself to send to you, I figured I could show off my artistic skills and draw my image for you. This is Rocky and I. I hope you know which is which. Zadie grinned as she looked at his sketch. Oh, Duncan, you look a little long in the face, and I didn’t realize that living in the west would cause your hair to grow so far down your neck. I’ll have to ask him if Rocky has a frown or a mustache. She folded his letter and returned it to the envelope. You are asking for it this time. Just how ugly can I make myself? You’re going to think twice before accepting me as a bride. “Seamus, don’t jump!” Clara Donovan heard her own cries, the shouts resounding through the misty night air. She raced across the sidewalk toward Farthing Bridge, her gaze riveted on a horror she didn’t want to believe. Her older brother Seamus sat on the edge of a tall bridge with his head slumped in his hands, a bottle of whiskey beside him. The arched stone bridge spanned the River Farthing, connecting the town to a once-popular marketplace. No. It couldn’t be. Her breath burned in her chest as she took in gulps of dampness and drizzle. Don’t stop. Run faster. When she reached the bridge, she elbowed through a group of late-night revelers. Several pointed up at Seamus. “He’s off the rails!” someone shouted. Her brother seemed unaware of the gathering crowd. He swung his legs back and forth like an underwound metronome and stared into the ice-cold river below. She shook off the image of him on her living room floor several days earlier. He’d been passed out drunk. Should she have phoned a treatment center? No. She could fix her brother’s problems. He simply needed encouragement, surrounded by his loving, supportive family. Seamus. Gentle Seamus. Kind and fiery-haired, quick to temper, quicker to make amends. 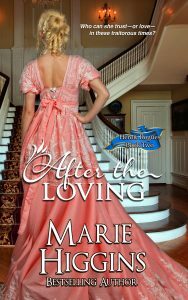 Her heart squeezed at the scruffy, dejected man he’d become since his wife had died. Clara put her hands on her knees and took in calm, even breaths. Quickly, she assessed the corroded pedestrian catwalk leading to the top of the bridge, the skull and crossbones sign that warned Danger. She stuffed her wool gloves into her jacket pockets and bent to lace her weatherproof boots tighter. There was no time to dash around the river to the street that crossed the bridge, and she certainly wouldn’t ask anyone in the crowd to lend a hand. She yanked off the “Danger” sign and threw it to the ground. That pressing feeling in her chest, like she was running out of air, slowed her movements. Dragging in another breath, she grasped the slippery wet handrails and stepped onto the bottom rung of the catwalk. “Missus, are you trained for this?” a man from the crowd inquired. She glanced around. The man stood a hairsbreadth away. He was tall with piercing blue eyes and carried a guitar case. His dark brown hair had a reddish tinge and his navy wool jacket strained against his athletic form. From the moment a cave man, gored by a mastodon, gazed up adoringly at the cave woman rubbing his wound with medicinal frog slime, love has flourished in medical settings. Handsome men in white coats (or blue scrubs). Sharp-eyed women who wield a scalpel with a steady hand. Life-and-death issues and babies on the way, whether long-sought or unexpected—these are the stuff of riveting romantic drama. My interest in medical fiction grew in part from personal experiences. My father spent many years as a small-town doctor, and delivered my brother and me at home. Later, as a reporter for a newspaper and the Associated Press, I was drawn to stories about medical discoveries and developments. When my husband and I got ready to start a family, we ran into problems. Like it or not, I was researching the latest fertility techniques in person. I’m happy to report that, ultimately, I gave birth to two healthy sons and a number of romance novels about fertility treatments, babies, couples, and the hopes and dreams that bind them. In writing medical romance, research is vital. The Internet has been tremendously helpful, as has the wealth of books by doctors, nurses and other professionals. I’m fortunate to have several friends who fact-check my books, including an obstetrical nurse. Another friend, forensics expert D.P. Lyle, M.D. (author of Forensics for Dummies), answers my questions in detail. In addition to romances, I write medical mysteries. I rely upon my years as a police reporter, on considerable research, and on another friend who’s a retired sheriff’s investigator. Although I had written about doctors and nurses previously, my longest series is Safe Harbor Medical®. 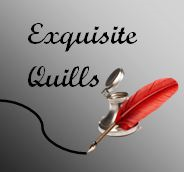 It began with a three-book proposal for Harlequin about a California hospital remodeled to focus on women’s issues and fertility treatments. With each novel featuring a different couple falling in love, the series grew to encompass 17 books plus a spin-off mystery series, which I’m self-publishing. 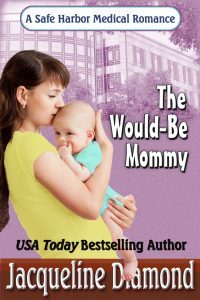 I’m currently reissuing some of the romances as ebooks, and am happy to put the first of the series, The Would-Be Mommy, on sale for 99 cents this month. Plus, I recently published the second Safe Harbor Medical Mystery, The Case of the Surly Surrogate. My characters and settings have become so real to me, I sometimes forget that I made them up. I hope you’ll find them real, too! He located Jennifer Serra outside the auditorium. Dark hair tumbled appealingly from a knot atop her head, and the exotic tilt to her dark eyes intrigued him, as did a hint of sadness that made him wonder what secrets she harbored. But although he was known as much for digging into personalities as for rooting out facts, Ms. Serra wasn’t his target tonight. Too bad. “I’m sorry?” Her expression turned wary. “The one who makes trouble.” Kind of like I do. She swallowed. He’d scored a direct hit, Ian could tell. “We’re a team here,” she responded gamely. “Her?” So there was someone. “No, not yet.” There it was again, that trace of sadness. 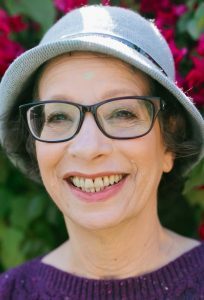 USA Today bestselling author Jacqueline Diamond has published 102 books, including romantic comedies, medical romances, Regency romances and mysteries. 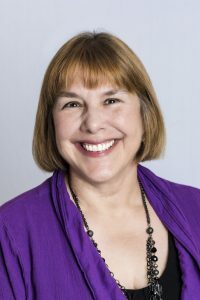 A former Associated Press reporter, Jackie has been honored with a Romantic Times Career Achievement Award and is a two-time Rita Award finalist. She and her husband live in Southern California. You can learn more about her at www.jacquelinediamond.com and visit her on Facebook at Jacquelinediamondauthor. Also available on B&N, Kobo, iBooks and Smashwords. 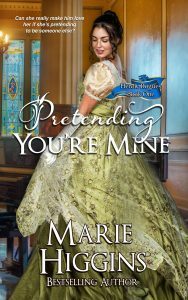 Hi Cynthia Woolf’s Blog and all you fabulous readers out there *waves* Thank you so much for having me today! I’m super excited to be here! The second book in my Wolff Securities series is now available for pre-order—Woot!! It’s been a long time coming, but I’m hoping it’s worth the wait! Nate and Macy were particularly tight-lipped during the writing of this book but I finally managed to get them talking, lol. I’ve included a little taste of what’s to come when the book releases on July 6th! Macy Gibbs looked down at her shaking hands, stained red, still clutching the bloody knife. Her gaze dropped to the man lying on the floor at her feet. His eyes stared empty into space. Fluid oozed from the wound in his chest where his heart should beat. Her ears began to ring, her vision dimming. They would execute her for this. In this country, she wouldn’t get a trial. Women had very few rights here. An American woman had none. Especially one married to an Azbak man. Revulsion turned her stomach. Married. What she’d been in was anything but a marriage. The sound of the door handle turning snapped her out of her stupor. One thought ran through her head as she dropped the knife. Run. Panicked, she spun in a circle, searching the small bedroom for an escape she knew she wouldn’t find. She’d been locked inside this room for weeks. Had there been a way out she would have found it. Her eyes trapped on the door. Only one way out. One choice. Forcing her legs to move she slipped behind the door just as it opened. A tall figure moved stealthily into the darkened room, lit only by a dim lamp in the corner. On auto-pilot, Macy struck, aiming for his jugular. He ducked her blow, his hand coming up to capture her wrist. With a forceful tug, he had her arm pinned behind her, her back pressed to the wall and a forearm against her throat. Not enough to hurt her, but it felt like an iron bar across her neck. Afraid to breathe, she looked up into a pair of stunningly beautiful green eyes. The way he stared back at her made her blood race. Direct, lethal. Her attacker’s voice, low and smooth, broke through her thoughts. Macy blinked. Why did he sound so far away when she could feel every hard inch of him? The arm on her throat loosened. She drew in a breath that made her head spin. “American,” she whispered, fighting to remain upright. He wasn’t one of Aziz’s men. Where were the guards? Surely, they must have heard her tussle with their leader. Then again, they were fully aware of what went on in this room and had not once intervened. A hand gripped her chin, warm despite the chill in her bones. Gave her a shake. Her eyes snapped open. 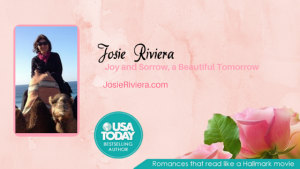 Thank you for having me today, Cynthia Woolf’s Blog!! I just want to send out a big THANK YOU to all my readers out there! Without you I wouldn’t be here. My wish is to one-day meet each and every one of you so I can personally thank you for your generosity and support! I started writing poetry in high school. (many, many years ago.) About six years ago, after going through a period when the poems just wouldn’t come, I decided to try my hand at writing fiction. And I haven’t stopped! 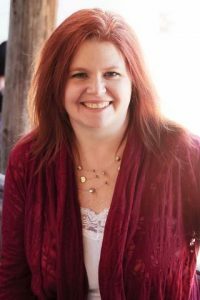 I’m currently wring an urban fantasy/paranormal romance series (The Free Wolves) and a cozy mystery series. (The Oak Grove Mysteries.) Although they are very different in style, they share a common denominator- strong female leads. My newest release is “The Baron’s Cufflinks,” the third book in the Oak Grove Mysteries. My main character, Harmony Duprie, is up to her normal antics. After a less-than-stellar Girls’ Night out, she becomes a suspect in a murder. Harmony is an interesting character. Frankly, I’d love to hang out with her in real life. So when she lets me know that she has a story to tell, I listen. Sometimes she and I disagree on the details on the story, but she normally wins the argument. I love starting a new story. So many possibilities for the story and my characters. It’s a lot of working setting the tone for the rest of the book while getting the first few lines perfect, but if I get it right, it’s such a great feeling. Editing. I wish I was a better writer and editing wasn’t such hard work. Wouldn’t it be wonderful to get done with a first draft and have it be perfect? I’m currently working on two projects. One is a short story for a Christmas collection. The story is tentatively titled “Love on the Dunes.” The other is the third book in the Free Wolves series. It’s called “Wolves’ Gambit” and is the story of one of the very minor characters from the first book, Wolves’ Pawn. Emotions are tough for me. In fact, I say that I write action with a touch of romance. I’m not sure why is so hard, but I blame it on my characters. They are so busy overcoming the obstacles that life throws at them that they don’t necessarily have time to stop and think about how they are feeling. When things settle down, the emotions come all in a rush. Harmony is a highly intelligent individual who cares about her friends and her community. Since she lives in a small town, she’s able to reach out beyond her circle of close friends for assistance when it’s needed. However, I suspect she had a touch of an obsessive-compulsive disorder, but has never been diagnosed. That makes for some interesting interactions with her friends and even with new acquaintances. The Baron’s Cufflinks is the third book in the Oak Grove Mysteries, and Harmony Duprie is up to her usual antics. 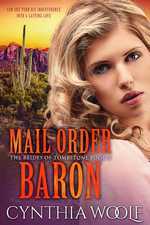 What starts as Girl’s Night Out ends in murder, and Harmony Duprie is a suspect. She’s innocent, of course, but with no alibi, the sheriff’s department won’t remove her from the list of suspects. It doesn’t help when a waitress from the bar gets beaten up and the only clue is a slip of paper with Harmony’s name on it. Throw in a rookie deputy dead set on building his reputation and Harmony must tread carefully. But caution isn’t Harmony’s middle name and she plunges head first into danger to defend her honor. 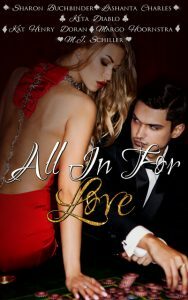 What she finds is a web of half-truths and suspicions implicating several law enforcement agencies, with Jake, her ex-lover, stuck in the middle of it all. 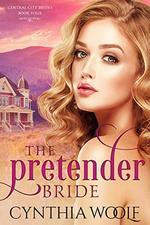 Can Harmony rescue Jake and find the real culprit before she becomes the next victim? Not that I particularly liked Agent Felton. But I only knew two FBI agents and couldn’t tolerate the other one. Although Felton didn’t count as a friend, he wasn’t an enemy either. Still, it surprised me when he agreed to meet for lunch, no questions asked. I spotted him right away when I entered the small Chinese buffet place, his suggestion, near his office. He stuck out like a sore thumb amid the crowd of secretaries having lunch. It had been a few months since I’d seen him, and gray hairs were now scattered in with the brown. Meeting him on his home turf meant I’d need to be on my best behavior, but I was good with that. “And you care why? Are you sticking your nose where it doesn’t belong again?” He grinned as he raised a spoonful of the egg drop soup towards his mouth. We spent the next few minutes cleaning up the soup that had sprayed everywhere. Born and raised among the rolling hills of western Pennsylvania, P.J. MacLayne still finds inspiration for her books in that landscape. She is a computer geek by day and a writer by night who currently lives in the shadow of the Rocky Mountains. When she’s not in front of a computer screen, she might be found exploring the back roads of the nearby national forests and parks. 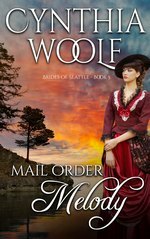 In addition to the Oak Grove Mysteries, she is also the author of The Free Wolves series.